As U.S. Bureau of Ocean Energy Management Director Abigail Hopper visits our Alaska home this week, we welcome her, and invite her to take in the spectacular beauty for which our summers are known. But while she is here, we hope she will appreciate our efforts to keep our home dynamic and vibrant all year round. In particular, we hope she will see how the industry I represent supports our local communities and drives our state economy – contributions we here in Alaska see every day. but are often overlooked in the halls of Washington, D.C. The oil and gas industry has contributed to Alaska for decades now, pumping billions into the state economy, creating hundreds of thousands of jobs, and building critical infrastructure to benefit of all Alaskans. The industry's work in Alaska has also benefited the Lower 48, especially the coastal states that depend on Alaska oil. Since the 1970s, the Trans-Alaska Pipeline System has delivered oil from Prudhoe Bay to Valdez, where it is then shipped to states like Washington and California, supplying the refineries there with American oil. Today, however, California refineries receive oil from all over the globe, including Saudi Arabia and Iraq. More concerning for Alaskans, TAPS currently runs at a quarter of its maximum capacity, making it very challenging to operate without new oil production from the North Slope. Fortunately, new production is achievable; we just experienced our first increase in production since 2002. In more good news, Alaska is not running out of oil, in fact, we have one-third of the nation's reserves, with the bulk of that potential in federal waters offshore. However, those great opportunities are in danger of never being realized. 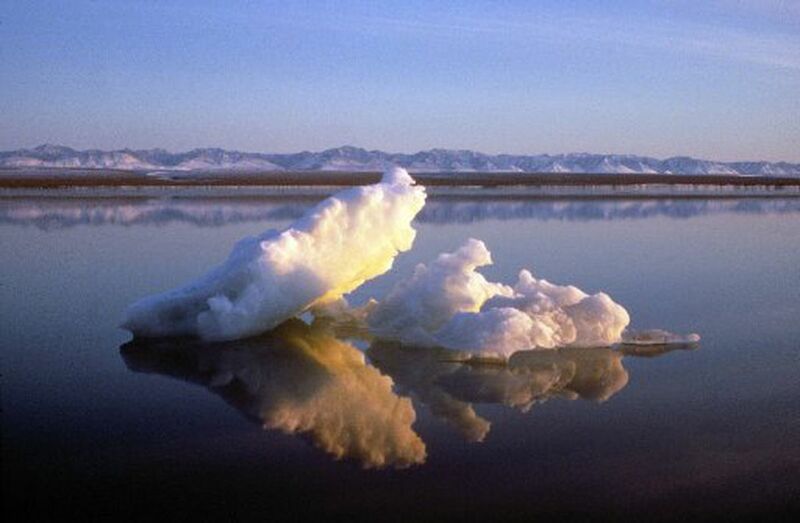 Every five years, BOEM decides whether or not federal lands and waters are eligible for oil and gas lease sales, and right now, Alaska's Beaufort and Chukchi Seas are in the crosshairs. There is talk, fueled by aggressive lobbying from extreme environmental organizations, that these areas may be excluded from the agency's forthcoming five-year offshore oil and gas leasing program. Taking oil and gas lease sales off the table for the next five years discourages significant industry investment in the offshore for the foreseeable future. There is speculation the industry is not interested in future lease sales. Not true. While industry investment has slowed due to low prices, no one can accurately predict what the price or regulatory environment will be when these lease sales would occur. Taking lease sales off the table now sends a message that the federal government is hanging a "closed for business" sign on our state. If there is no interest when the lease sales occur, the federal government does not have to hold the lease sale. Why would the federal government make the decision today, for lease sales to be held 4-5 years from now, as opposed to simply allowing market dynamics decide the fate of future lease sales? Arctic Inupiat Offshore, an extension of the Arctic Slope Regional Corp., captured the stakes when it wrote to BOEM earlier this year: "In a time of low oil prices, declining onshore production, low throughput into TAPS, and a State budget deficit, AIO looks forward to the boon which Arctic OCS (Outer Continental Shelf) offers." Even as the U.S. government continues to make Arctic oil and gas development challenging for American companies, other countries are swiftly capitalizing on the opportunity, as noted by global offshore drilling company Atwood Oceanics: "Other Arctic nations – Russia, Canada, Norway and Greenland – are already conducting lease sales and are moving forward with Arctic exploration. Our country risks missing out on a valuable energy resource if we further delay our pursuit of this opportunity." That's why Sen. Lisa Murkowski, R-Alaska, voiced concern just last month over the possibility the federal government might "hit the delete button" on future offshore lease sales: "So we're worried, we are worried, that Interior now plans to hit this delete button on both the Beaufort and the Chukchi sales, even though such a decision would have serious consequences for North Slope communities, for the State of Alaska, and I believe for the rest of the country." As Director Hopper tours our state, we hope she will see the opportunities and realities made possible by the oil and gas industry, the high stakes that accompany her agency's actions – and our need for BOEM to give the industry the chance to explore America's energy bounty in Alaska's offshore. Kara Moriarty is president and CEO of the Alaska Oil and Gas Association.